Areej is originally from the Northern town of Baqa El Gharbia. She now lives in East Jerusalem, and she studies at the Hebrew University. These are her own words. 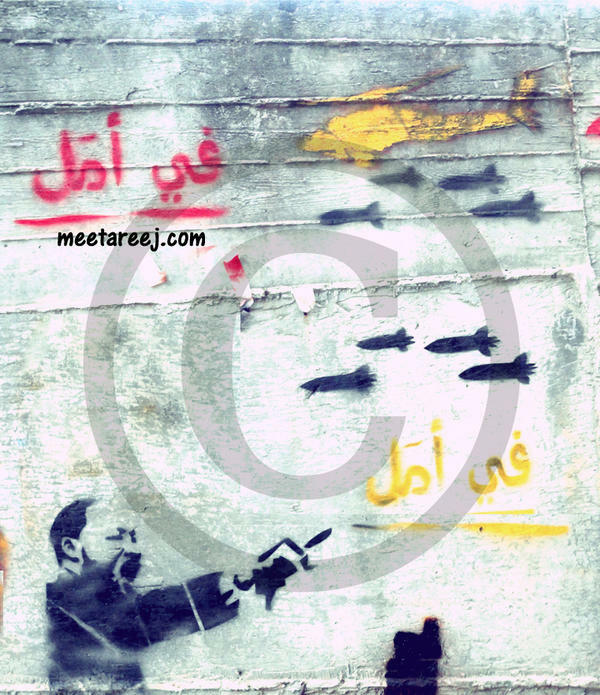 Three years ago, Areej participated in a street exhibition concerning human rights of civilians during war. She made a design of Apaches dropping rockets over a seaside playground in Yafa. 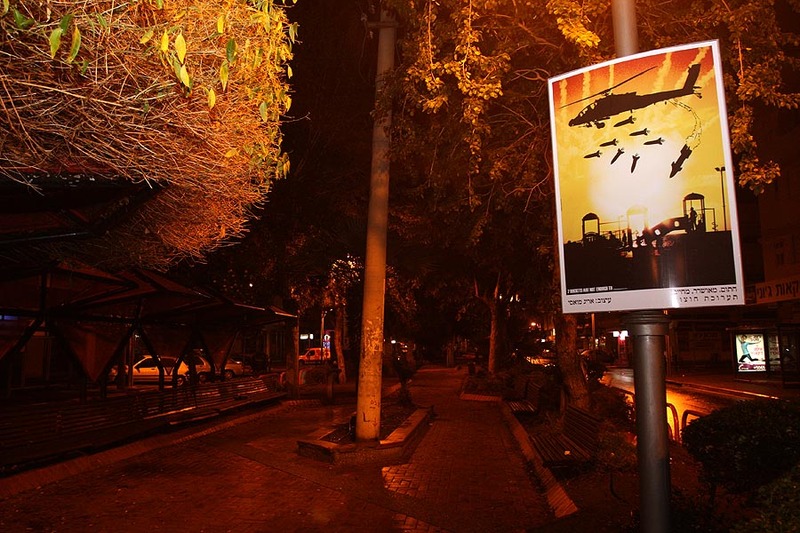 The poster was supposed to be exhibited in an ‘Israeli’ city. One day after the exhibition launched, Zionist groups protested her work, accusing her of describing the Israeli occupation army as a killing machine. 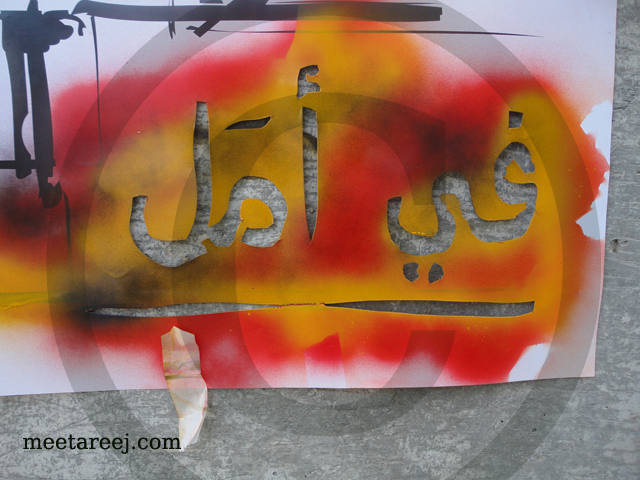 Areej’s poster along with two other pieces were removed from the exhibition, a sign of how powerful her art was. 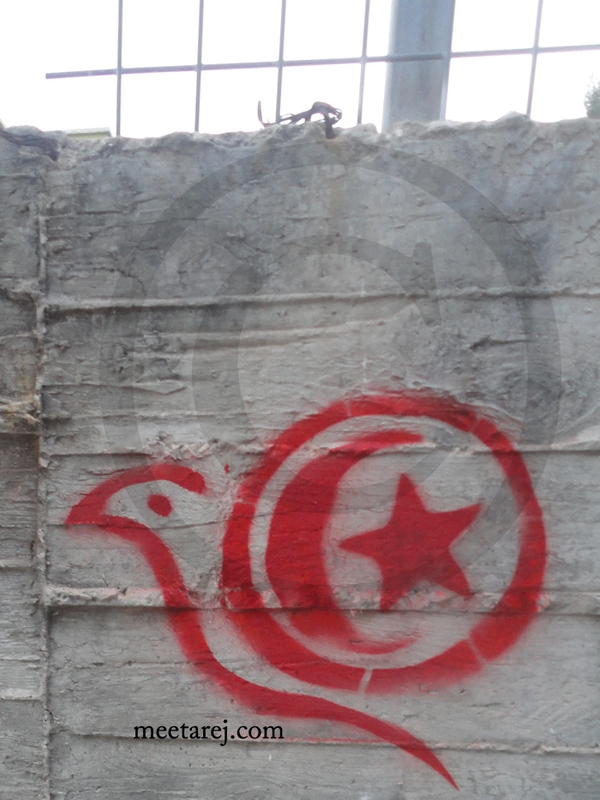 Furthermore, the protesters asked the Israeli Interior Ministry to punish the municipality of the city for allowing this art to be shown. Three years later, Gaza is still under siege and almost daily attacks, and again, the whole world is not really doing anything about it. So Areej adapted her Gaza design to a more sarcastic art piece featuring Martin Luther King pointing at the words There Is Hope as rockets rain down on the hope. Gaza is under attack by the IDF and civilians continue to pay the price, with bombings happening day and night, Areej added. Her work may be little in volume, but the sheer volume of emotions and power in her simple message and imagery to me perfectly exemplifies the root of protest art; it is based in raw and real struggle; be it against oppression, persecution, or death. 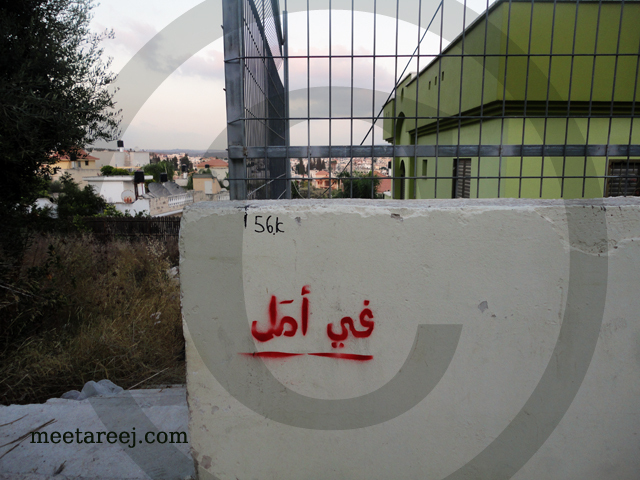 Despite the renewed attacks, Areej continues to work on her projects, including an upcoming collaboration with a fellow Palestinian female graffiti artist. You can read her heart-wrenching anecdotes on her friends’ and families’ lives through the bombings on twitter at @rejism90 and on Facebook. 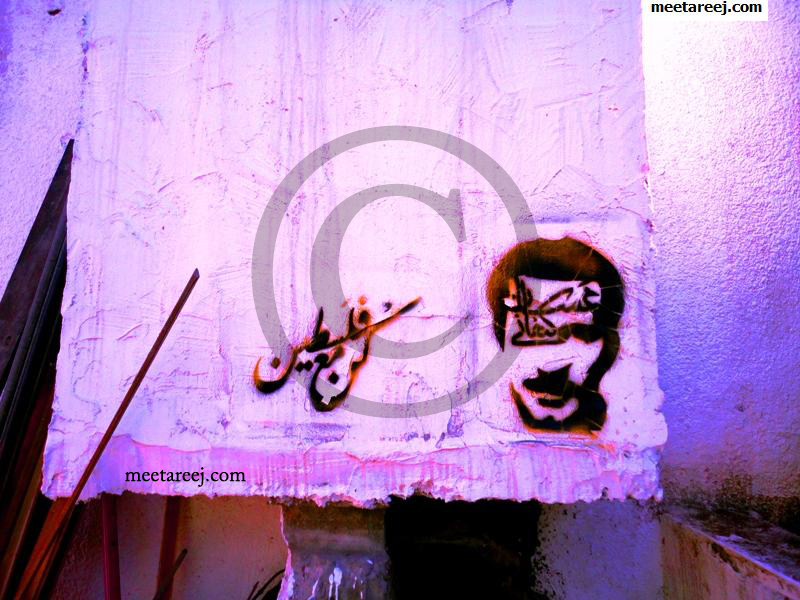 For more information about Areej and to view her photography and design work, please visit meetareej. 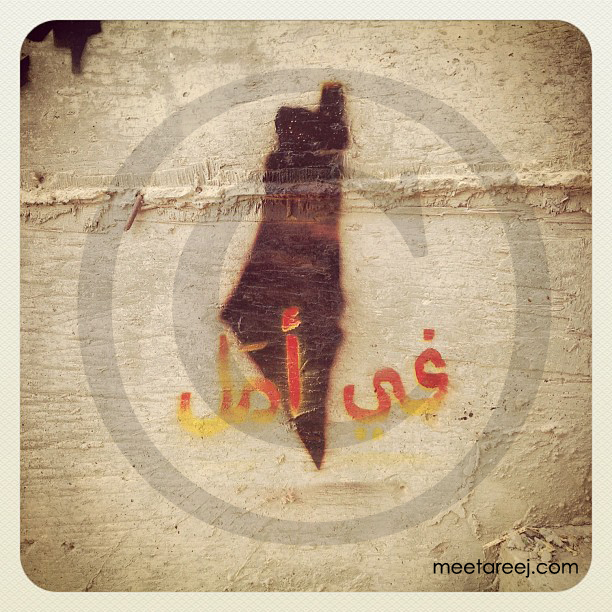 For more articles about Palestinian graffiti artists, please read this and this. 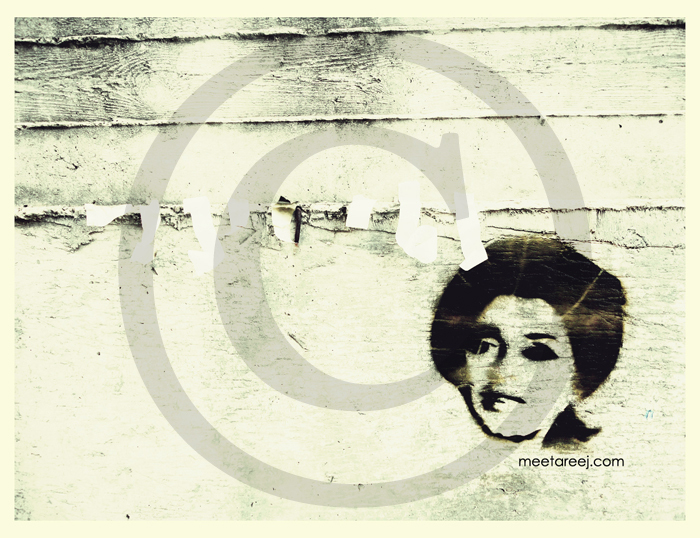 Souad Hosni stencil. Photos courtesy of Areej Mawasi. This entry was posted in Street Art Fascination and tagged Areej Mawasi, East Jerusalem graffiti, Gaza, Ghassan Kanafani, Hebrew University, hope, Hope for palestine, Intifada, Israeli, Jerusalem, Jerusalem Street Art, martin luther king, meetareej.com, Mohamed Gaber, Palestine, Palestine graffiti, Palestinian woman, Peace, protest street art, rockets over Gaza, souad hosni, there is hope, zionist. Bookmark the permalink. Please be kind to tell me if you agree.